We are factory trained, and we specialize in all Asko dishwasher repair as well as other Asko appliances. 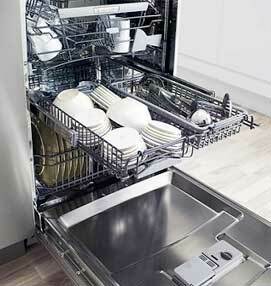 If your Asko Dishwasher does not drain properly or simply isn’t washing properly, we are here to help. Our highly trained technicians are factory trained and certified by Asko. Asko dishwashers are built to withstand heavy usage and stand up to commercial standards. Properly maintaining, and servicing your Asko Dishwasher regularly, will help with expanding its lifespan. We service Asko dishwashers that were built in 1992, and those Asko Dishwashers are still up and running till this day. Asko dishwashers are “ADA” compliant. Therefore a standard dishwasher will not necessarily fit into your standard kitchen cabinets. If your Asko dishwasher is no longer running and you’ve taken into consideration a replacement unit, keep in mind that your Asko dishwasher might be ADA complaint, making a standard replacement impossible. There really should not be a reason to dispose of your Asko dishwasher because everything can be repaired on it, as long as parts are available. An Asko dishwasher is not your standard dishwasher. Making it very complicated and challenging to work on. Special training and tools are required, to fix and service the machines. We are here to stand up to that challenge, and take care of all your Asko Appliance needs. Besides being the most knowledgeable company in the field, we provide you with the best customer service. Our team is always polite and friendly with our clients. They are ready to go above and beyond to keep your satisfied. We offer a accurate estimate for every repair job as well as a very flexible appointment scheduling. We will give you a courtesy call before your appointment. Pluss we provide a 3 yearwarranty on all parts with your repair project. Special deals and discount are available on our home page. Top Home Appliance Repair is a family owned and family operated company with more than 30 years of experience. We are qualified to repair all models of Asko appliances. Our service area includes Marin County and East Bay. We do both commercial appliance repair and residential appliances repair. You can trust us with the most complex appliance repair project. 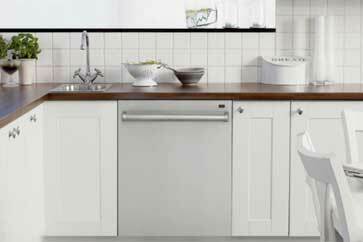 One call to us and our experienced technician will be at your door ready to do Asko dishwasher repair. He will be ready with all the tools and parts needed for this particular project. A technician will use his skills and knowledge to figure out the best way to fix your Asko dishwasher. He will replace parts, clean and do tune up to your appliance. Once the project is completed, our technician will clean up and remove all the old parts. Then, he will do a safety check to make sure that your appliance is perfectly safe. Finally, he will plug it in, turn it on and test it. We will present to you a perfectly functioning, clean and safe Asko dishwasher that you can use for a long time. With a right maintenance, your Asko dishwasher can last you for years. All you have to do is take good care of it, clean filter, etc. We offer annual or biannual maintenance services. With this program, we can come and do all the maintenance for you. We will catch a problem before it becomes a big issue. We will change filters and other parts on your equipment when necessary. It will save you time and money. Why choose us to do Asko dishwasher repair for you? We are the number one trusted company doing Asko dishwasher repair. Our technicians know every aspect of Asko dishwashers as well as other Asko appliances. They picked up their knowledge from the Asko training, and they are certified by Asko. We are the most competent when it comes to that brand. Also, our customer service is fantastic. We will make sure that you are totally satisfied with all the repairs. For Asko dishwasher repair, please call us at 925-265-7782 in East Bay or 628-214-0064 in Marin County. Or you can fill out our short contact form. We would love to talk to you and answer all of your questions. Besides Asko dishwasher repair are also certified to repair Bertazonni, Bosch, Dacor, DCS, Electrolux, Fisher&Paykel, Frigidaire, GE, Jenn-Air, KitchenAid, La Cornue, LG, Liebherr, Marvel, Miele, Perlick, Samsung, Siemens, Sub-Zero, Thermador, Traulsen, True, Viking, Whirlpool, Wolf. We are factory trained, and we specialize in all Asko dishwasher repair as well as other Asko appliances. 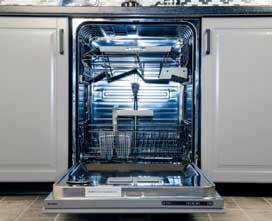 If your Asko Dishwasher does not drain properly or simply isn't washing properly, we are here to help. Our highly trained technicians are factory trained and certified by Asko.